Barry Hilton - Several hugely significant military factors pre date the Glorious Revolution making the period quite distinct from the English Civil War era. Many nations had begun to form large standing armies. The military were turning professional! Of equal significance, flintlock muskets began to replace matchlocks meaning that no longer did the musketeer need to maintain the unreliable, clumsy and dangerous slow match. Someone had also invented the bayonet but in its first form it plugged into the muzzle of the musket rather than slid over it in a ring or socket. The plug made a ‘short pike’ but of course was almost impossible to remove in battle once fitted. This made the decision to ‘fix bayonets’ literally a potential matter of life or death. National armies were starting to introduce a modicum of uniformity of dress although standardization of coat colours took a while longer. Tactics were also changing. There had been a gradual move away from infantry using large numbers of pikes offensively. 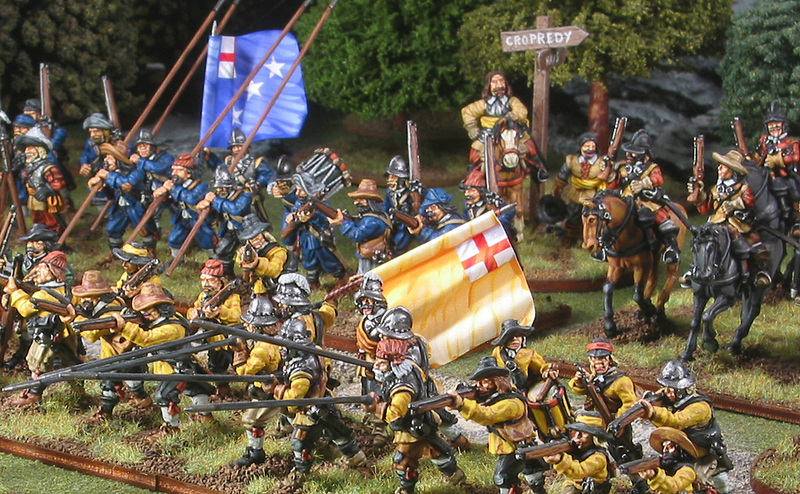 The massive tercios of the Thirty Years War were long out of favour as was the complex Swedish brigade system. Larger armies relied more on simpler linear tactics and basic manoeuvring. Wargames in the period 1660 (The Restoration) to 1697 (the end of the Nine Years War) offer engagements from modest size to biblical epics. In Tangier (an English colony acquired from the Portuguese as a dowry) the progenitors of the legendary red coated British armies of 1750s – 1850s fought with Moorish tribes and Barbary pirates. These battles probably ranged from company level skirmishes to a 2-3 battalion brigade fielded against a more numerous enemy. The same troops lined up across the River Clyde in Scotland to battle 5,000 semi civilian Covenanters in 1679. In 1685 the small Royal Army did bloody slaughter against the more numerous but civilian mob-like West Countrymen under Monmouth. British regiments and men from Britain fought in Flanders for and against the French. The Dutch were not consistent allies of the English and in fact as recently as 1674 both countries were at war. Charles II looked more to France as an ally than to the Netherlanders. In Europe, fighting was on an altogether grander scale. The ‘cockpit’ of the Spanish Netherlands now known to the world as Belgium saw fairly regular clashes between the legions of Le Roi Soliel (Louis XIV of France) and the industrious and revenue minded Dutch. The Nine Years War (aka War of the League of Augsburg, aka War of the Grand Alliance) began in the year of the Glorious Revolution. It is legitimate to consider the military phases of the Glorious Revolution as occurring before and after the actual event of the King’s replacement. The Protestant rebellions and dissent in Scotland and the West country 1679-1685 saw several battles and skirmishes take place at Drumclog, Rullion Green, Bothwell Brig, Norton St Philip and Sedgemoor to name some of the better known. These engagements saw the small Royal Army of Charles II, then James II take the field against semi civilian insurrections. Many famous characters whose names would star billing later made cameo appearances; John Churchill (The future Duke of Marlborough), James Scott (Duke of Monmouth), Patrick Sarsfield (Irish Jacobite legend) and Tam Dalyell o’ the Binns, ancestor of the ex Father of the House, MP Tam Dalyell who was a famous Civil War vintage Royalist General known to posterity as Bluidy Tam or the Muscovite D’iel. The main event is however the Jacobite War in Scotland and Ireland 1689-1691 defacto the military component of the Glorious Revolution. 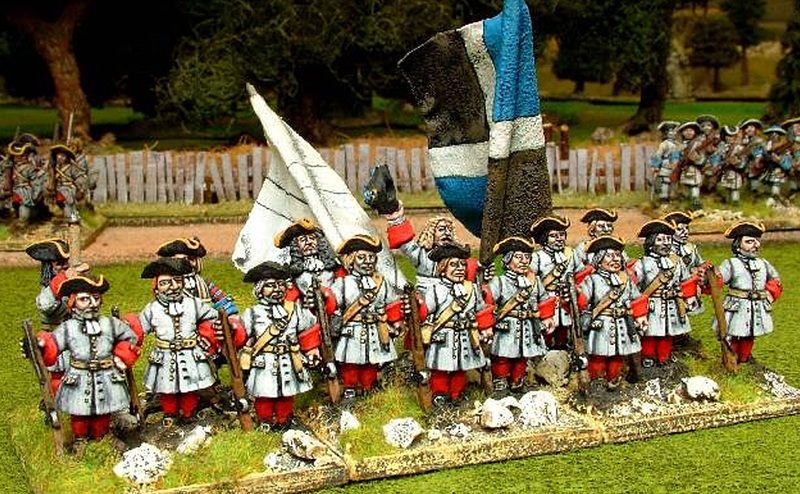 Men of vast historical reputation stride across these years and offer the most alluring perspective of the Glorious Revolution for wargamers. The fighting in Scotland was small scale but spectacular. A tiny Highland Army under John Graham of Claverhouse known as Bonnie Dundee, routed a largely Scottish regular force twice its size under the veteran officer General Hugh Mackay at Killiecrankie in 1689. In his moment of victory Dundee fell mortally wounded continuing the tragi-heroic saga of the Graham’s loyalty to the House of Stuart begun by the even more famous James Graham, Marquis of Montrose during the Civil War. The highlanders fought a bloody but inconclusive battle with the soon to be legendary Earl of Angus’s Regiment (The Cameronians) at Dunkeld a month later. This battle which was a house to house fight resulting in the complete destruction of the town was particularly vicious. The campaign ended with a rout of the highlanders at The Haugh of Cromdale in the Spring of 1690. In Ireland the war was far more than the two or three bits of popular culture that are visited with monotonous regularity. The campaign had phases, major and minor battles, sieges, ambushes and pretty much everything a wargamer could wish for. Everyone thinks they know about Derry, The Boyne and Aughrim but there was also Limerick, Cork, Athlone, Newtown, Dromore and a host of smaller and very interesting clashes. In Ireland a wargamer can field Scots from the Scots Army, Scots from the English Army, English from the Dutch Army, English from the English Army, Danes, Dutch, Germans, Irish on both sides, French on both sides and Walloons. The Battle of Aughrim, July 12, 1691 is the major engagement and climax of the war and was a very close run thing . Some say the entire day turned on the Jacobite commander St Ruhe (A French Bourbon General) having his head taken clean off by a cannonball at the moment he was riding to order a counter attack by the Jacobite Horse which would have saved the day and gifted victory to King James. On the other side great heroism was shown by hundreds and none more so than the vanquished of Killiecrankie; General Hugh Mackay. He alone discovered a hidden route to victory on the Williamite right flank which allowed a bold if semi suicidal cavalry advance in column of twos along a causeway through a morass. All of these mentioned actions have an evocative flavour if you are British. I find it easy to trace the roots of some of our residual societal problems in the sometimes deliberate misinterpretation and dangerous oversimplification of the events of this turbulent time. Catholics fought for Willem and Protestants for James. Nothing is black and white. The Spanish Succession War known only in the Anglo Saxon world as the ‘Marlburian Period’ was yet to come. Warfare changed a little but not too much during that conflict. The main distinction was the almost universal disappearance of the pike and some modifications to tactics on both sides. I have always preferred the 1688-1697 period to that of 1701-1715. Although perhaps contra to popular opinion I find the achievements of Marlborough’s coalition armies often overstated and wrapped in patriotic superlatives. Blenheim was without doubt a spectacular victory but it was a joint effort with the often conveniently forgotten Prince Eugene of Savoy. Personally I find a closer connection is easy to make with what can legitimately be described as a Third Civil War – The Glorious Revolution in which Scot fought Scot, Englishman fought Englishman, Irishman fought Irishman and Welshman fought Welshman. Add in the rest of Europe in the shape of all these foreign mercenaries and Dutchmen and it starts to sound like the Premiership!